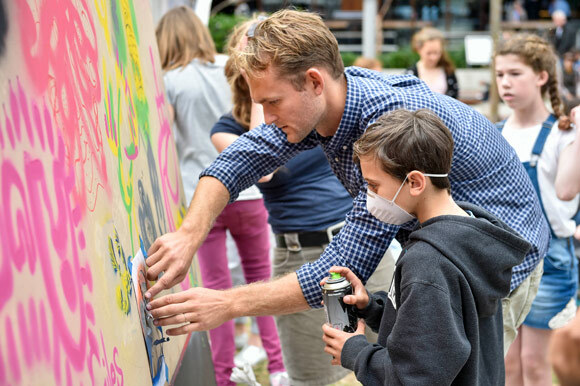 Sydney’s littlest artists were invited to learn new techniques and create artworks they can take home at the Kids’ Urban Art Workshops during the school holidays and part of Project Five Volume 7. 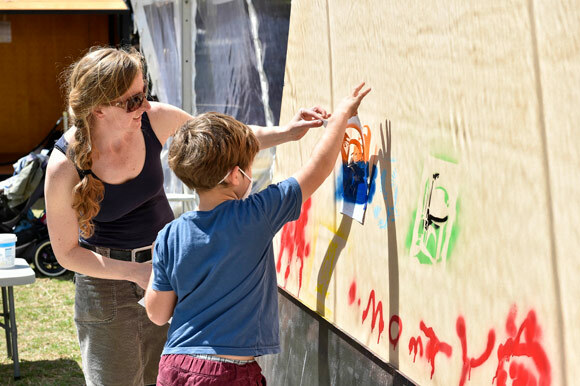 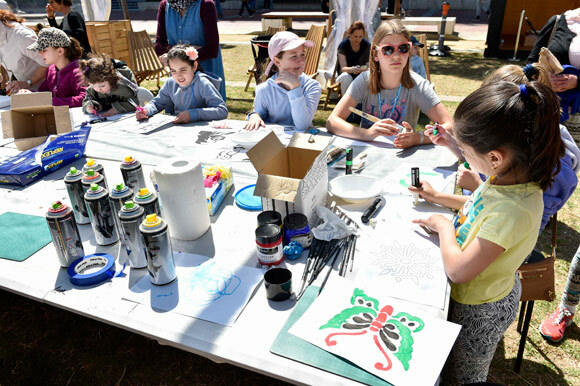 The enormously popular Project Five Kids’ Urban Art Workshops returned to the Village Green at Darling Quarter over the September/October school holidays. 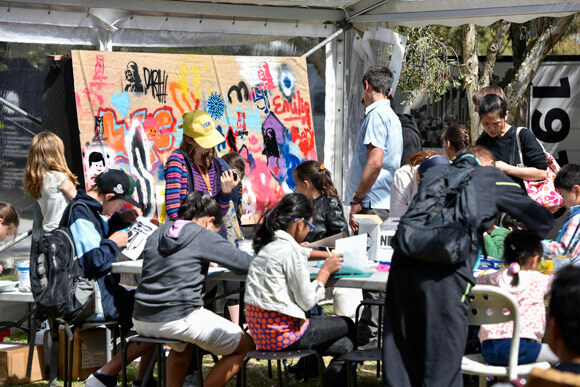 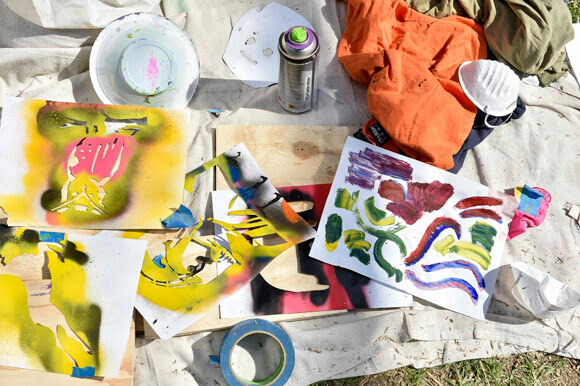 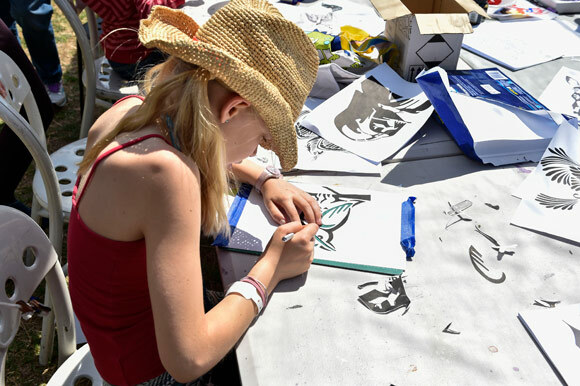 The workshops catered to kids of all ages and offered practical education in urban art disciplines including stenciling, wheat pastes and aerosol painting. 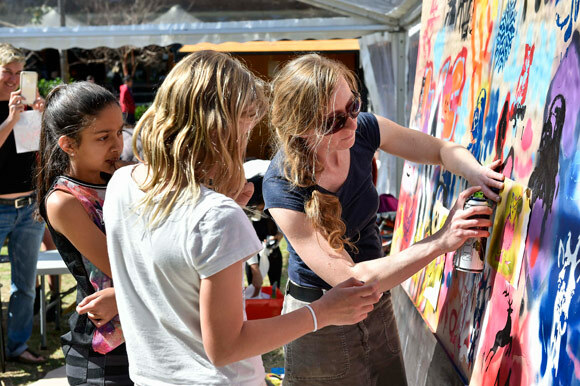 Local Sydney artists guided the workshops, which were facilitated by Wiltshire + Dimas via aMBUSH Gallery. 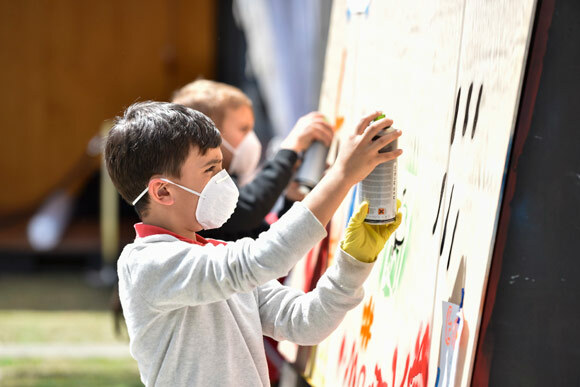 Over 180 kids participated in the workshops over the two weeks.